You've heard the old adage; When things come up lemons, make lemonade! Well Beiseker has been given a whole pile of lemons! It's called the Bassano Station. I'm sure you know the history of this building and its relocation to Beiseker, but now it sits basically abandoned. It's not going anywhere. It's here to stay! Over a half a million dollars has been spent on the project so far. The Railway Museum folks appear to have disappeared into the mist! So we're left holding the bag, or in this case a station building and a bunch of railway memorabilia. The Village of Beiseker cannot support the project in any way at this moment. We just can't afford it! So where do we go from here? Museums of this sort can flourish and they draw tourists into the community. We already have tourists stopping to look at the rail cars and locomotive. There is huge potential there to build a great railway display. But how do we do it? My question; How do we make Bassano Lemonade? I believe the government has given numerous grants for this project already, I'm not sure how much more they would give! We're going to have to get a more up-to-date photo of the project! Since the present photo was taken the building has been moved onto its new foundation and the roof has been closed in! The foundation was built to the wrong dimensions so some modification must be done there. The building is still partially open to the elements along the base of the structure where it meets the foundation. Overall I say progress has been made! Now we need to figure out how we move forward. As I see it, according to one of the original volunteers involved with this site, there were plans to place two boxcars and open them as museums to the public. This evidently snowballed and was taken over by the Alberta 2005 society. There seems to have been a collective mentality at work after that where all sorts of equipment was collected. This equipment was then fenced and left to rust away. Then a "free" station became available. Since the start of plans to move and place the Bassano station, the project has been horribly mismanaged and far too much public funds have been wasted. To say that progress has been made by placing the station on a foundation which was built to the wrong dimensions is re-defining progress. It is correct that train museums have become very popular. I would suggest that the best use of the items which are on this site would be to find someone who might want to take them away where they might be put to some use. I cannot see where the Village would be able to find the funds that would be required to turn this whole fiasco into a viable tourist destination. As Vic indicated above, can you really believe that any government would be willing to contribute any further funds considering the background of the project? It was an eyesore even before it left Bassano. It would have been cheaper to build a replica then move it here and let it rot here. How is that restoring history? Not sure why council hasn't brought this to court and sue the landowners and parties involved. I'm sure if it was a local property owner who brought in a century old house, had foundation issues and abandon it because they couldn't afford it. They would be brought to court. Why is this any different? I don't see a reason to throw good money after bad, in this case - not to mention, more volunteer hours. It should be obvious by now that people simply aren't interested. If the station is abandoned and is now formally the property of the Village because of default by the former railway museum group, then I'd suggest it be put up for sale as-is, where-is. If someone wants it, they'll need to move it. And if there are no takers, then it should be demolished. Set a firm timeline; either it'll happen, or it won't. Same goes for the railway equipment; I've read (there's a good blog post on the Bassano Railway Station, here) that much of the equipment collection appears haphazard, and\or are largely cast-offs that other museums simply weren't interested in. But put them up for sale, anyway - but if there are no takers, sell it to a scrap metal company to recover some of the cost. To be blunt, there does not seem to be a sustained interest in having this railway museum in Beiseker: and not without years of trying. And I don't think more volunteer effort (that is, if you can find the volunteers) should be spent here; there are more worthy efforts and causes in the village that could use that manpower. I recall going into the Beiseker CPR Station back in 1979. It was in a very similar condition as the Bassano Station is now. There was no glass in any of the windows, the roof leaked, some of the floor boards were rotten, the rest of the floor was warped from the rain and snow getting in there. We had mice and pigeons in there, too. And we had skunks living underneath! That building is now our Village Office and Station Museum! Just saying! I don't know if you can compare the two. 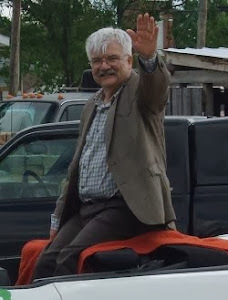 The Beiseker CPR station had a direct connection to local history, and had stood in the village for over sixty years by 1979. There was also a concerted effort by residents to save the CP station and put it to use for a number of years, especially after the sudden demolition of the CN station a few years, before. Stage East was originally founded to help save it. I don't think there'd be a similar outpouring of support for saving the Bassano station, which, bluntly, has been dumped on the village by a defunct museum group largely made up by out-of-town residents. But if the Bassano station is saved, what would it be used for? There was a purpose in mind when the village saved the CPR station - like you say, it's now the Village Office and museum. But it would appear that the railway museum idea isn't viable in Beiseker - nobody is interested in it, and funding has dried up. Would the building be useful in its current locations, as something else - as office space, storage, or something else? Is the 'foundation' that was built for the building, stable? I've read that it appears to be a botched job. And - has the building been cleared of asbestos? If the answer to any of those questions is, "no," then I don't think it'd be worthwhile to spend more resources and time to save it. 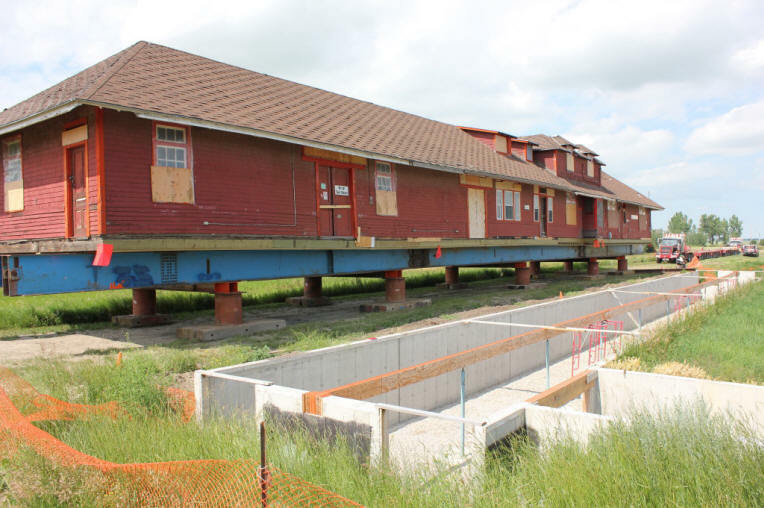 It's interesting (or disheartening) that there are some people that are trying to lay the blame for the failure of the Bassano Station project at the Village's feet: Alberta 2005 Centennial Railway Museum – what’s going on?